We pride ourselves in being Ohio’s premier supplier of professional wedding decorations and event décor supplies. Relied upon by Ohio’s top wedding planners, wedding decorators, and wedding décor companies, we provide excellent, high quality, and economical wedding decorations to make their client's wedding occasions special. Event Décor Direct's clients in Ohio are not limited to professional wedding services, as many expo centers, restaurants, small businesses, hotels, event centers, stage and theater companies, nightclubs, schools and more choose us to fill their needs. 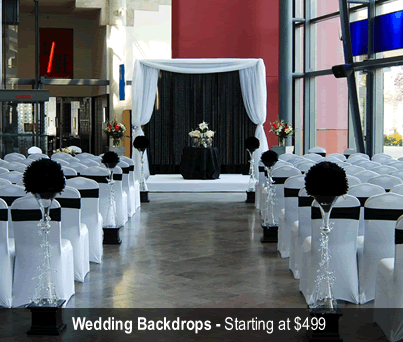 Wedding Backdrops – Almost required for a wedding in Ohio this season, a wedding backdrop transforms the location into a place of elegance. Sheer panels, arches, columns, or fancy windows will all ensure your Ohio wedding is unforgettable. Backdrop Lighting – In order to highlight our beautiful wedding backdrops at your Ohio wedding or event, we suggest backdrop lighting. 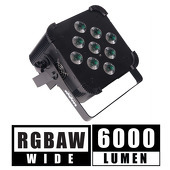 Our large selection of backdrop lighting solutions includes basic par cans, LED par cans and LED bars. To customize your backdrop to match your Ohio wedding colors, LED products allow you to produce any color in the rainbow at the touch of a button. Crystal Décor - If you are looking for elegance and glamour, our crystal décor products are essential for your Ohio wedding. We have the best selection in beaded curtains, beaded trees, table lamps, string lights, and even disco balls. We can ensure your Ohio wedding will sparkle. Chandeliers –Event Décor Direct's acrylic crystal chandeliers are perfect for weddings, night clubs, stages, restaurants, window displays, and any other classy Ohio event. Crystal Curtains – We have the best selection of crystal curtains in Ohio. Whether you are looking for a large crystal curtain to use as a back drop or a curtain for a door, customers love our best prices. LED Decorations - LED decorations bring magic to your wedding or event in Ohio. Garlands, flowers, bouquets, trees, and so much more are part of our huge selection for event professionals in Ohio. Candles - Our ample selection of candles and candle décor accessories will put the finishing touches on your Ohio wedding or event. Whether you’re looking for floating candles, hanging candles, taper candles, square candles, or even reusable smart candles, eventdecordirect.com can fill all your needs. 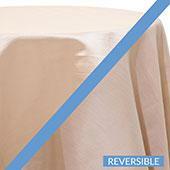 Ceiling Draping - Our ceiling draping kits can transform your Ohio wedding or event location from common to spectacular. 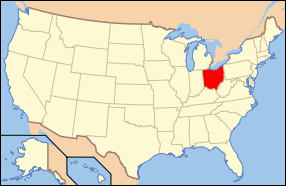 The guests will be dazzled when they attend your ceremony in Ohio. 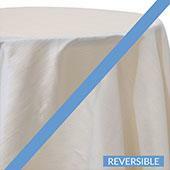 Chair Covers - Whether you’re looking for our universal-fit chameleon wrap chair covers, satin, lycra, polyester flex, or even custom made chair covers, Event Décor Direct is Ohio’s source for premier chair covers at the best value. 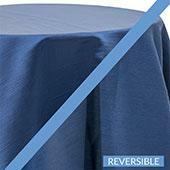 Event Linens & Drapes - We offer event drapes and linens in satin and sheer voile, in assorted colors to match your Ohio wedding or event's theme. 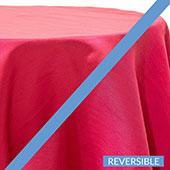 Pipe and Drape - We offer everything from complete pipe and drape kits to fabric and skirting to storage solutions. 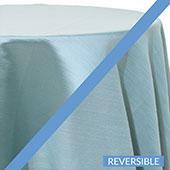 Event Décor Direct is the only source needed in Ohio for your wedding or formal events.